ATLANTA—The growing middle class, labor shortage and brand proliferation are still prevalent issues for hoteliers. 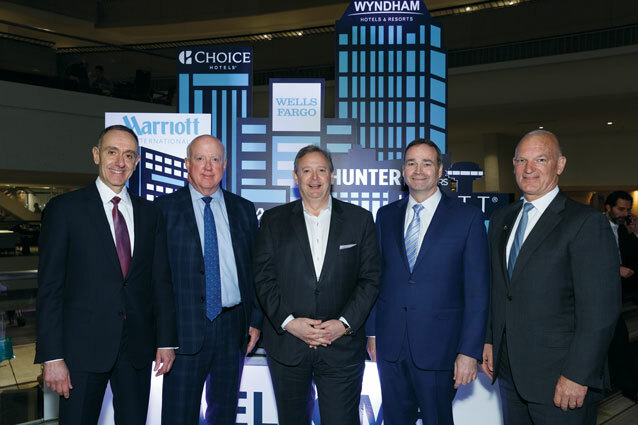 More than 1,800 people from 40 different states and three different countries last month attended the annual Hunter Hotel Investment Conference, a national hotel real estate and finance conference designed for hotel owners and investors, which was held at the Atlanta Marriott Marquis. Throughout the conference—which hosted attorneys, appraisers, brokers, consultants, lenders management companies, purchasing companies and more—various industry experts discussed the topics of the day, including the outlook on travel and the economic landscape, the growing middle class, the labor shortage, brand proliferation and franchising. Adam Sacks, president of Tourism Economics LLC, spoke briefly on the travel industry in the U.S. economy, pointing out some bad news. For example, in 2018, the U.S. continued to lose travel market share, but travel internationally expanded by 6%. But he also shared some good news during his remarks. For instance, the industry has led total job growth in 95 of the top 100 U.S. cities (which could be seen as a potential negative when you look at the industry’s labor shortage). Some other good news: The U.S. will be the fastest G7 economy in 2019. The number one risk to the economy? The trade war hitting global growth, according to Sacks. While there were both positive and negative factors discussed, the economic outlook for the industry remains favorable well into 2020, according to the experts. 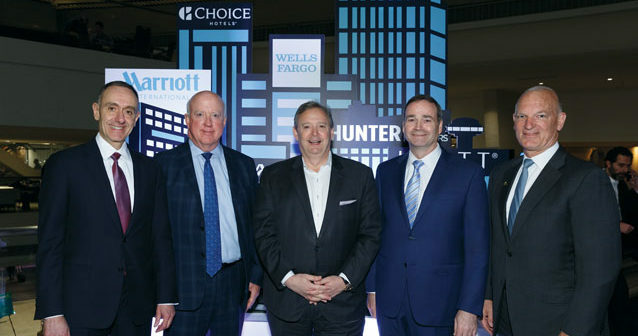 Jan D. Freitag, SVP of lodging insights, STR; and Mark Woodworth, senior managing director, CBRE Hotels’ Americas Research, took center stage at the conference to discuss the industry’s outlook. “The U.S. lodging industry has been operating at peak levels for the past three years—2018 played out somewhat better than expected,” Woodworth said. Supply is expected to increase by 1.9%; demand is projected to increase by 1.9%; occupancy is expected to remain the same; and RevPAR and ADR are both projected to increase by 2.3%, according to Freitag’s 2019 forecast. For 2020, according to Freitag, supply is expected to increase by 1.9%; demand is projected to increase by 1.7%; occupancy is expected to decrease by 0.2%; ADR is projected to increase by 2.2%; and RevPAR is expected to increase by 1.9%. What could end the current cycle? The main worries to look out for are the economy, overbuilding, unpredictable demand shock, oil/energy price increases and an asset price bubble. “With rising GDP, what we know is the middle class travels,” said Elie Maalouf, CEO, Americas, InterContinental Hotels Group (IHG). Currently, globally, the middle class, the most rapidly growing segment, is made up of 3.8 billion people, which is more than 50% of the world’s population, according to the Brookings Institution, an American research group. The middle class is projected to reach 5.3 billion people by the year 2030. “When [the middle class travels], they need to do two things: sleep and eat,” Maalouf said. Being that hotels are long-term investments, the fact the middle class is expected to grow over the next decade is a good thing for the industry as a whole. 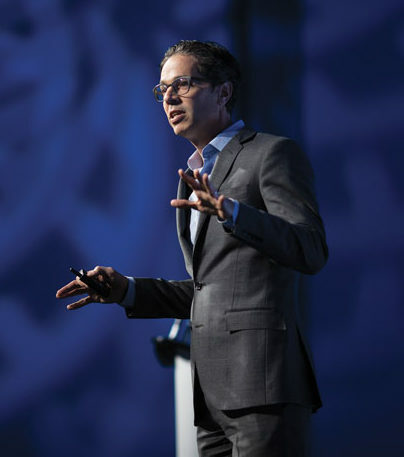 In agreement with Maalouf’s take on how the growing middle class is impacting the hospitality industry, Pat Pacious, president and CEO of Choice Hotels International Inc., added to the conversation by pointing out how the population is living longer. “They’re staying healthier, which means they’ll want to travel,” he said. Global average life expectancy increased by 5.5 years between 2000 and 2016, according to the World Health Organization (WHO). With unemployment under 4% (3.8%, to be exact, according to the latest data published by the U.S. Bureau of Labor Statistics), the labor shortage in the hospitality industry isn’t expected to go away anytime soon. By the looks of it, the hotel industry’s labor shortage is here to stay for at least another five to 10 years, according to Maalouf. 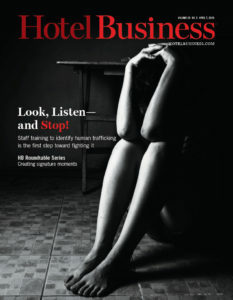 This concern has prompted industry leaders to question the way hospitality companies are hiring. To overcome the labor shortage challenge, hoteliers are exploring new ways to retain talent (since a steady paycheck has become somewhat of a commodity in today’s economy). To reiterate the importance of hospitality companies building winning cultures for their employees, Pacious shared a success story about one Choice owner who’s been with Comfort Inn for more than 32 years. His employees responded positively to his employee-centric company culture over the years by providing loyalty and commitment to the property’s success. For example, his front desk clerk, chief engineer and director of sales have each been with the property for more than 10 years. For John Murray, president, CEO and managing trustee of Hospitality Properties Trust, the biggest labor cost is turnover. While there are many training programs available for new employees, there needs to be more of a concerted effort by the industry to offer more for current employees—to reinforce a culture where they’ll want to stay and thrive. “There are so many good stories in the industry about people who started as a bellman or housekeepers who are now in management positions,” he said. Tourism Economics LLC’s Adam Sacks provided an economic update. For some, reducing turnover is necessary to minimize the impact of the industry’s labor shortage, but it’s company culture—not widely discussed economic policies—putting the industry on the right path. Raising the minimum wage restricts a company’s ability to create career paths within for its employees, he said. When wages go up, entry-level positions become extinct, thereby negatively impacting company culture. “If you don’t have a culture, you really don’t have anything,” Burg said. Moderated by Hotel Business Editor-In-Chief Christina Trauthwein, a panel titled “Franchising Matters” discussed franchise ownership. “With regard to the industry, I think it’s a great time to be a franchisee,” said David Pepper, chief development officer, Choice Hotels International. For example, back then, franchisors didn’t always pay franchising fees on the properties they owned, which put franchisees at a disadvantage. This “new” approach to franchising now allows brands to focus on what they should be doing, which is the following: “How do we drive customers to the hotel at a cheaper price than any other out there?” asked Chip Ohlsson, EVP and chief development officer, Wyndham Hotel Group. Now that many brands aren’t stuck operating properties, they can put more of their resources toward generating revenue for owners by enhancing loyalty programs, developing marketing initiatives and pushing group sales. “We’re trying to figure out how to grab that guest,” he said. Of course, it wouldn’t be a hospitality conference without a high-level executive discussion on how brand proliferation is impacting the industry as a whole. Asked specifically about Clarion Pointe, a midscale, select-service brand extension of Clarion, which Choice launched in September 2018, the hospitality company’s top executive gave two reasons for launching it: consumer demand and developer interest. “… and that makes sense,” he said. Maalouf, another brand executive, agreed with his fellow panelist’s perspective on brand proliferation and added the following: The industry shouldn’t be limiting innovation; the market generates demand. While brand companies typically aren’t too concerned with the number of brands operating in the industry, owners see things differently—being that they’re the ones making the long-term investments. “Supply growth is real, and we need to focus on it,” Murray said. The key to avoiding direct competition is to clearly establish swim lanes for the brands, according to him and other brand executives—but hotel groups aren’t the only ones pushing for more brands. For example, it would cost owners a lot of money if they had to rely entirely on OTAs to fill rooms, develop their own marketing campaigns and create their own loyalty programs.